Making colored pasta is easy, and can be used in countless projects. The pasta can be used for stringing on yarn which helps with fine motor development. I also use this with kids just learning their alphabet. We glue the pasta over each letter, and use different colors as we go along. Mix all ingredients into the plastic bag, move the pasta around so it is covered and place on a protected surface. Set your timer for 30 minutes. Then turn the bag over and let sit for an hour. 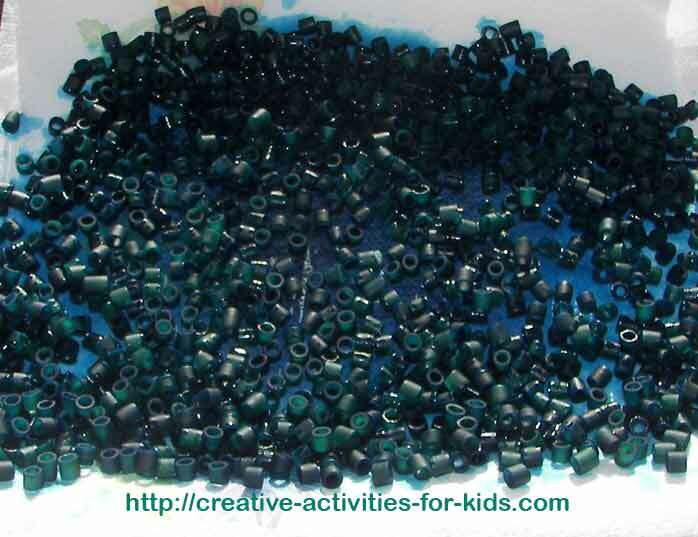 Pour your dyed pasta out onto a pile of newspaper or paper towels and let it dry. You can store this in a fresh plastic bag or a container. Did you like the colored pasta recipe? Check out more craft recipes here!